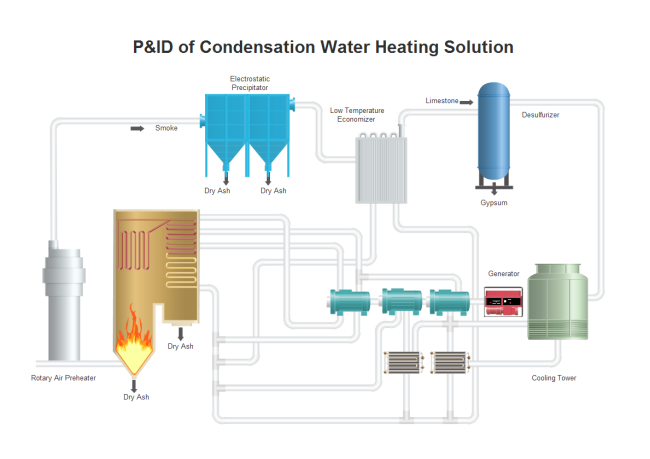 Pre-drawn P&ID process cooling symbols represent absorption chiller, chiller, cold generator, cooling tower, engine driven chiller, simple cooling system, etc. Vector symbols help develop accurate and presentation-quality diagrams and documentations. 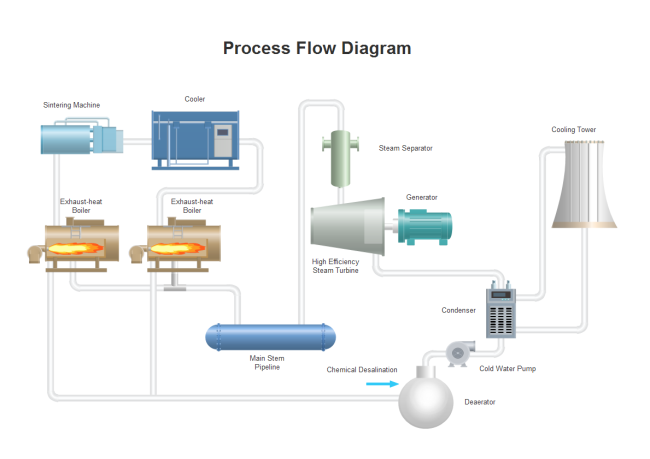 Ready-made P&ID process cooling symbols aim to help users produce great-looking and professional piping and instrumentation diagrams. With every shape provided in vector format, it's more flexible to draw tailor-made diagrams. Check out the process cooling symbols in this page and see why everyone is using them to make P&IDs and PFDs. 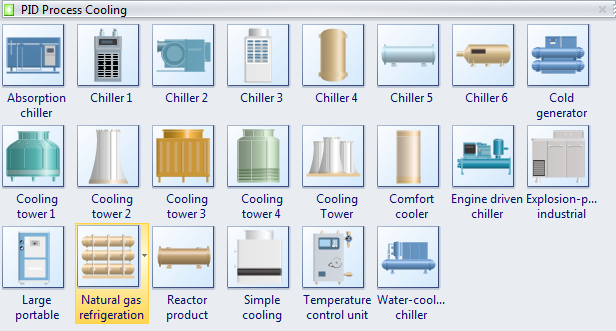 The following picture shows a screenshot of the process cooling symbol library in Edraw. 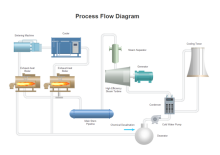 It has a comprehensive collection of vector P&ID process cooling shapes. 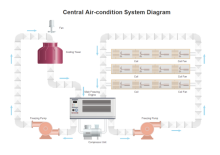 You will find absorption chiller, chiller, cold generator, cooling tower, engine driven chiller, natural gas refrigeration system, simple cooling, temperature control unit, etc. Chiller is a machine that removes heat from a liquid via a vapor-compression or absorption refrigeration cycle. Cooling Tower is a heat rejection device which rejects waste heat to the atmosphere through the cooling of a water stream to a lower temperature. This set of symbols are included in Industrial Automation category of the symbol library. When you start a Process P&ID drawing template, this symbol library will open automatically. You can drag a required shape from the library and drop onto the canvas. The shapes you've got are vector graphics, which are highly customizable. You are allowed to scale the shape to any size without loss of the display resolution. There is no blur image anymore. To make the shapes better fit with your own drawing theme, you can change the filling colors. If you want to change the filling color for a part of a shape, first you need to select this sub shape. Click on the sub shape you want to change color for a few times until it is successfully selected (there will be a blue selection frame), then you can change this sub shape with a new color, and with other parts unchanged. Or you can ungroup the shape first (go to Home menu, and click Ungroup button), and change the color for any sub shape freely. You are able to pull out the drawing components to create new symbols. To do this, first you need to go to Home menu and click Ungroup button to ungroup the shape. Below are some samples illustrating the usage and application of P&ID process cooling symbols. Edraw pre-defined P&ID symbols provides a fast and easy way to design piping and instrumentation diagrams. To discover more examples, you can visit P&ID examples and PFD examples.